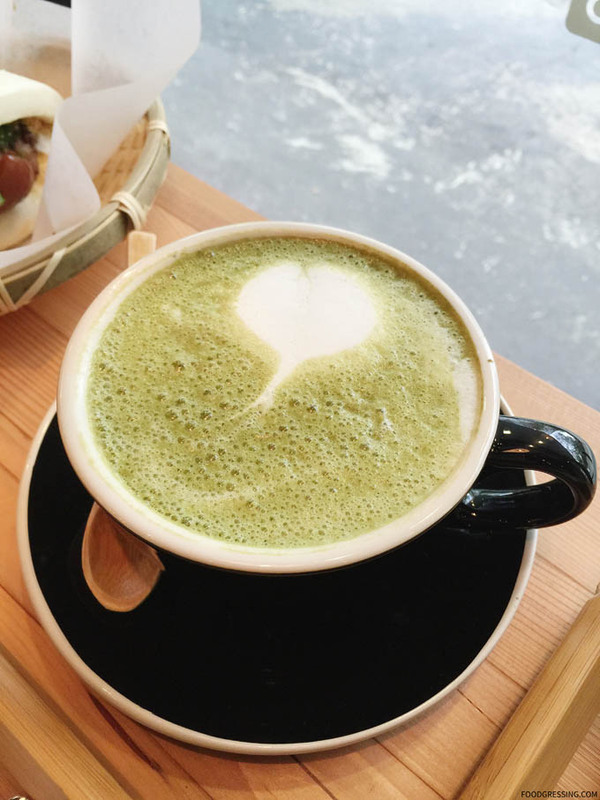 As a West End resident, I was excited to hear about a new Taiwanese Cafe opening on Denman. Around this neighbourhood, there aren’t many places serving Taiwanese style eats except Bubble World down on Robson. 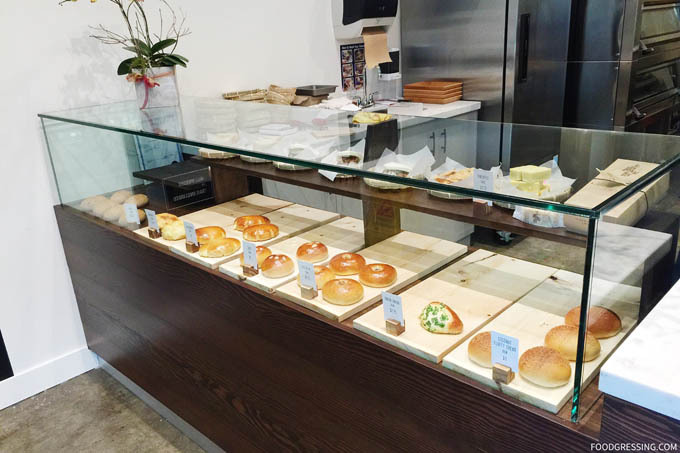 Meet the newly opened 3 Quarters Full serving Taiwanese baos at 1789 Comox Street inside Denman Place. I popped in during their soft opening earlier this month to check them out but waited until today to try their offerings. 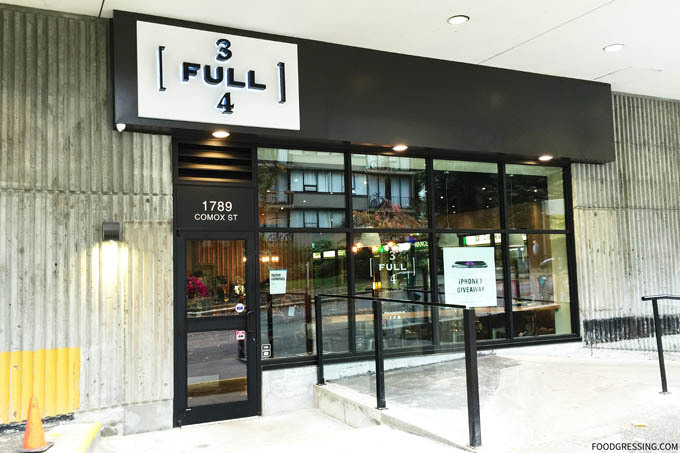 3 Quarters Full is a rather spacious cafe occupying a corner space within Denman Place mall (across from Dollarama). The interior can best be characterized as minimalist and industrial-inspired with wooden fixtures and hanging lights. Customers can enjoy a variety of seating including a counter by the window, a communal table, tables for two and cozy lounge chairs. The seating arrangements can accommodate as many as 50 people – rather large for a cafe. Seems like a good place to get some work done on your laptop (see photo below). 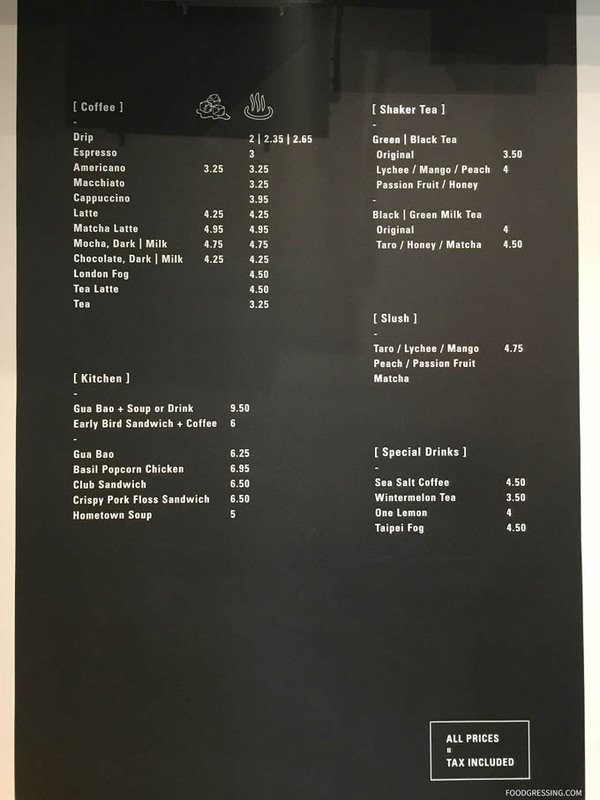 The drinks menu includes espresso-based beverages with coffee beans by 49th Parallel and teas (espresso, lattes and more). 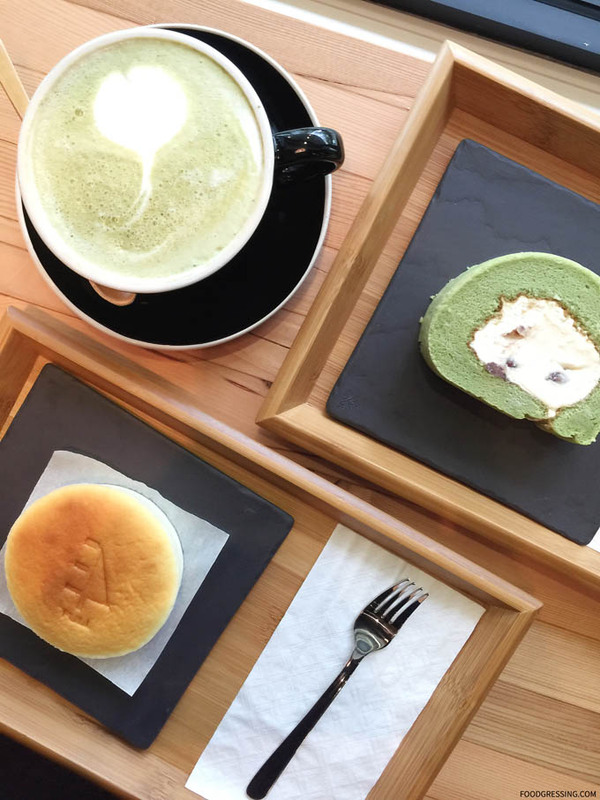 They also serve Taiwanese-style drinks including bubble tea, slush and specialty drinks like sea salt coffee, wintermelon tea, and Taipei Fog (a Taiwanese twist on London Fog) . 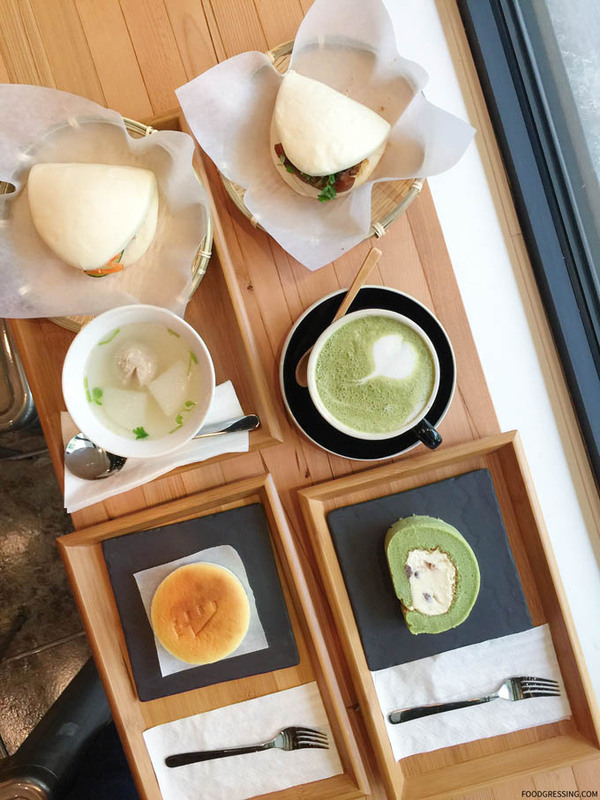 To compliment a delicious beverage, 3 Quarters Full has a large selection of Taiwanese buns, sandwiches and pastries all made fresh in-house daily without preservatives and additives. 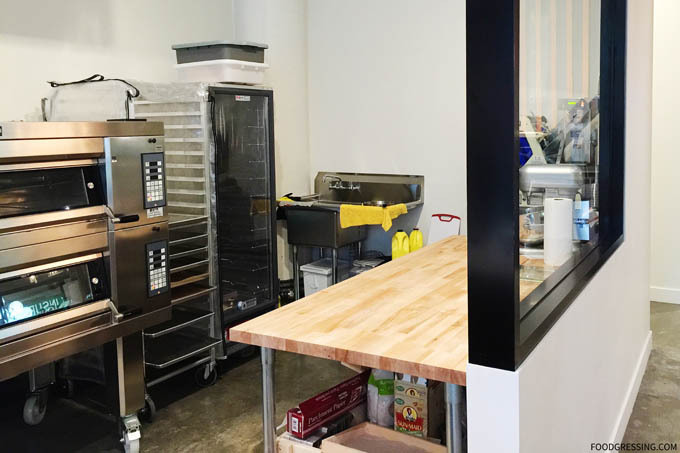 To highlight their commitment towards “healthier” baked goods, they have an open kitchen where customers can observe the pastry chefs at work. They apparently start very early in the morning so they had already gone home by the time I arrived around noon. 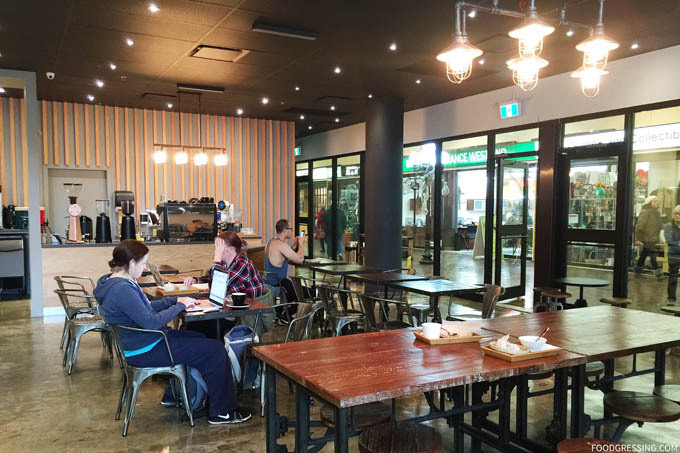 This open kitchen concept in a cafe was reminiscent to Neo Coffee Bar (review to be written! ), a place I visited last year in Toronto. 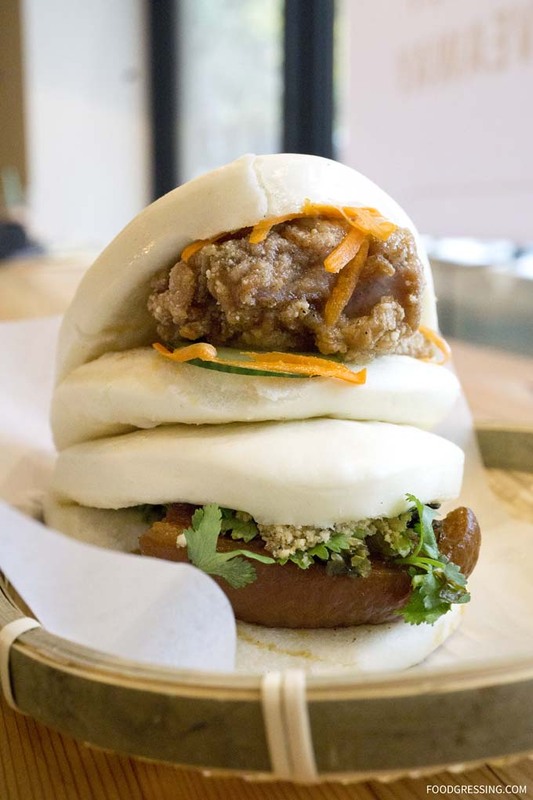 3 Quarter Full’s signature bun is the street-style gua bao – a steamed bun with braised pork belly, crushed peanuts, and cilantro. Other bao flavours are Taiwanese popcorn chicken and a vegan option with tofu. 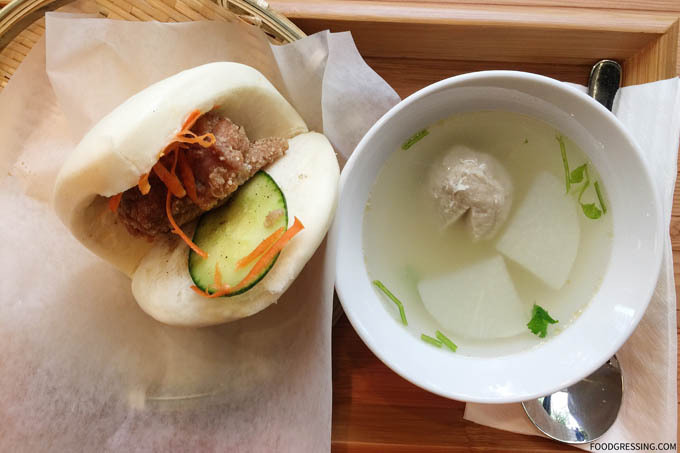 The baos are $6.25 each but the best deal would be to get it as a combo with a soup or drink for $9.50. 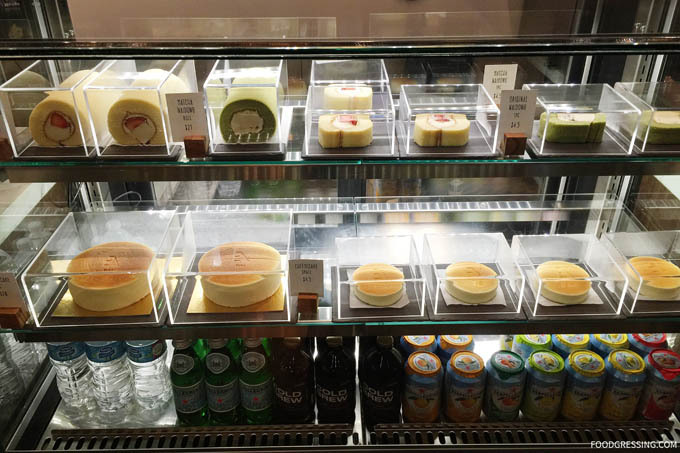 Other Taiwanese bun flavours I saw in their display case include red bean, taro, pineapple, green onion, and coconut fluffy cream. Club or crispy pork floss sandwiches are also available. Early birds can enjoy a sandwich and coffee deal for $6. 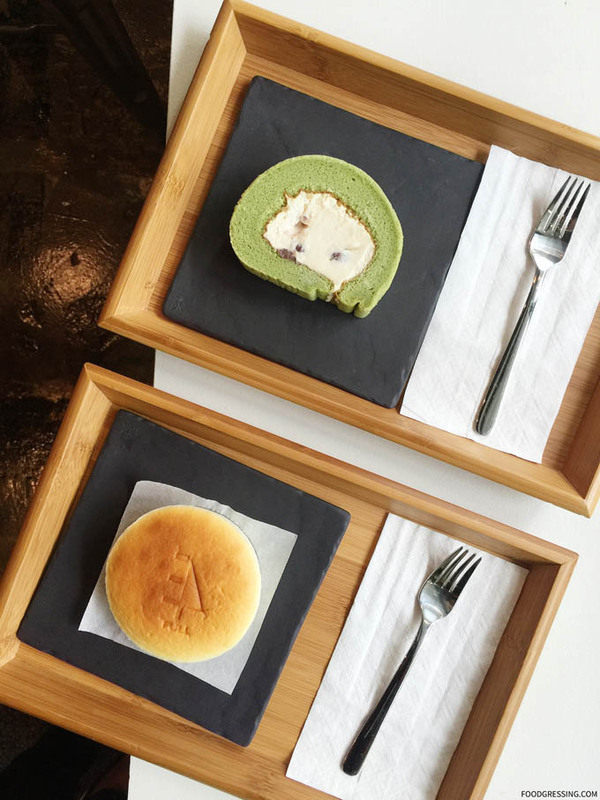 For some sweet treats, 3 Quarters Full offers the naidong roll, a Taiwanese cake roll, in matcha and original flavours ($4.50); a Japanese-style cheesecake ($4.50); and a pineapple cake ($2.75). Let’s face it, I was really after their cakes. I’m a dessert lover afterall! And they didn’t disappoint. 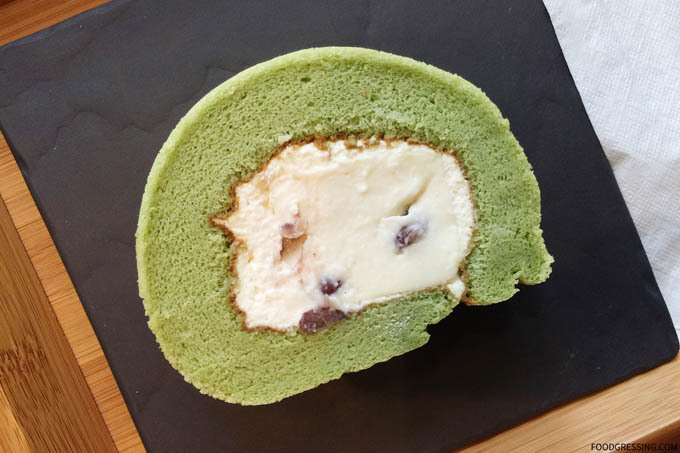 The matcha naidong cake was very light, moist and fluffy. The filling wasn’t quite a cream but a bit spongy. I asked the staff person what the middle was made of and I couldn’t quite understand her explanation. Anyways, it was still very good and had some red bean in it. 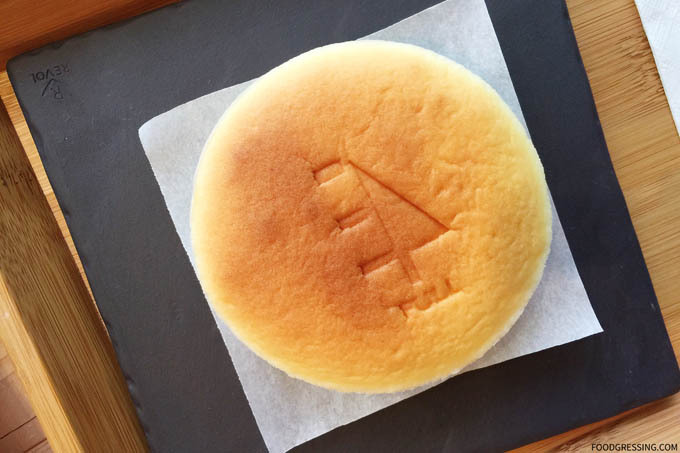 Similarly, the Japanese-style cheesecake was cotton soft, light and pillowy. Definitely worth a try. I liked how they had their logo imprinted onto the cheesecake. Moving onto the baos, the buns were soft, light and fluffy. The braised pork belly was tender and a bit tangy and sweet. The popcorn chicken was very juicy and tender. The homestyle soup had two white radish chunks and a Taiwanese meatball in a clear, light pork broth. The texture of the meatball threw me off – it was super smooth and bouncy. Not quite like Italian style ones which are loose, soft textured and a little coarse. The soup is okay but I’d skip it in the future and just get a drink instead.